See your entire fleet of charter yachts in one easy view. All the reservation system records can be updated in real time by multiple people within your company processing payments and entering updating records accordingly. The reservation system records page allows you to filter everything by fleet or individual yachts as well as record type and status. 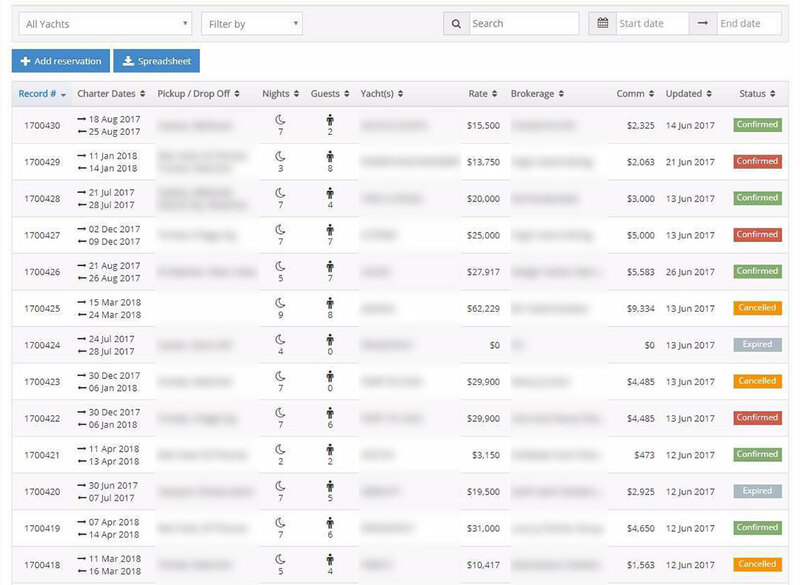 Get the exact data you need during the dates you need them for and create a CSV spreadsheet that you can do what ever you want with. Managing your fleet yacht charter bookings calendars and mining relevant data out of your fleet of central agency yachts has never been easier.